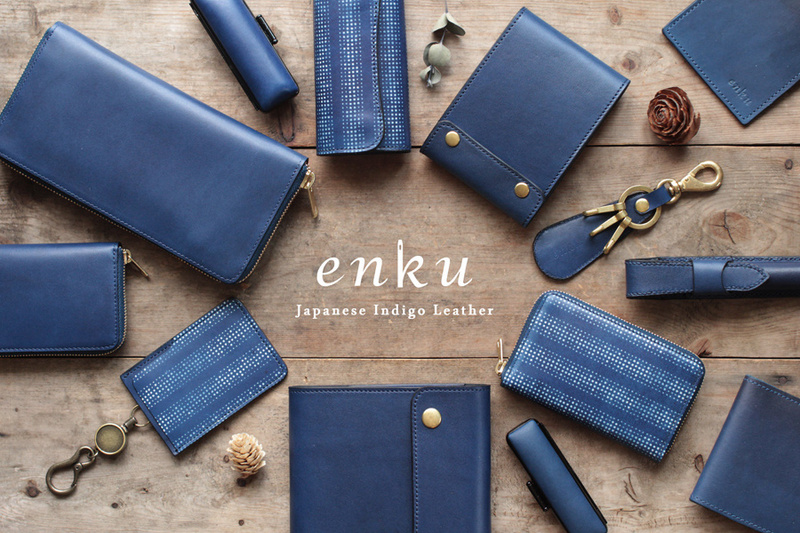 “I want to make leather which is unique to Japan”- is the thought I had when I began working with indigo dyed leather. 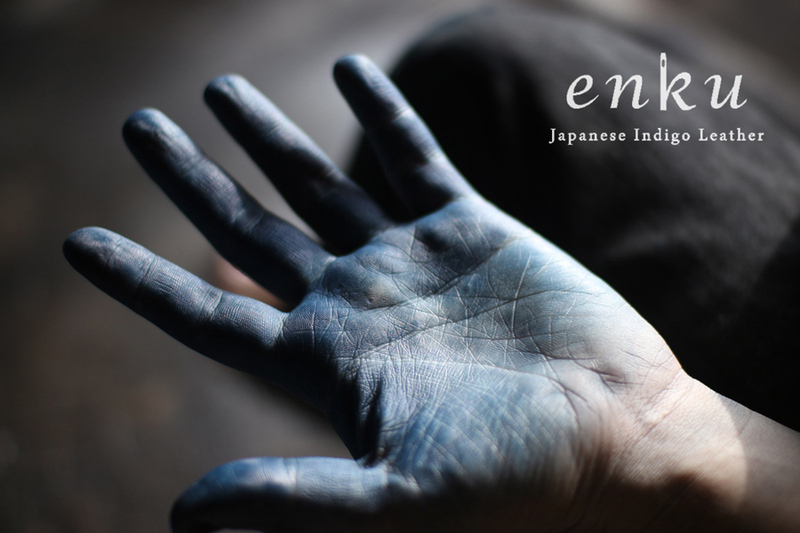 I travelled around various parts of Japan to look for ideal indigo and leather while discussing the possibilities of combining the two with experts in these fields. 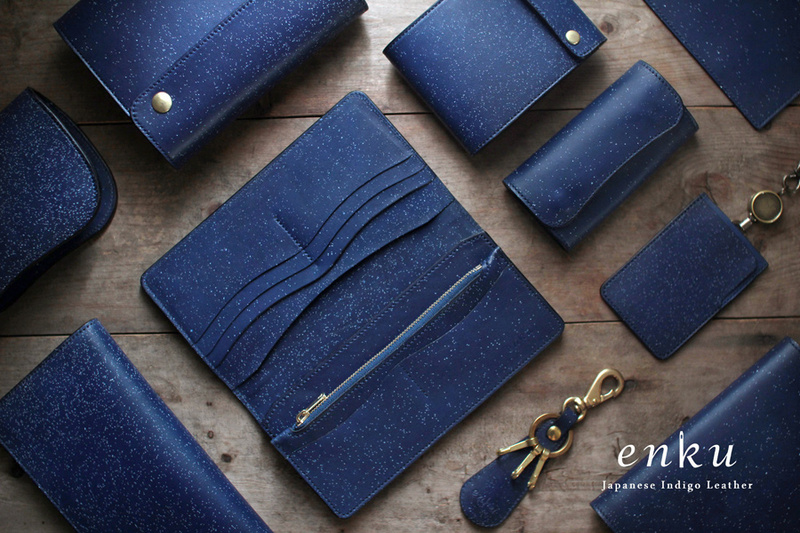 In the future I would like to continue the study of dyeing leather in indigo and apply techniques such as stencil dyeing to discover new approaches to my work. 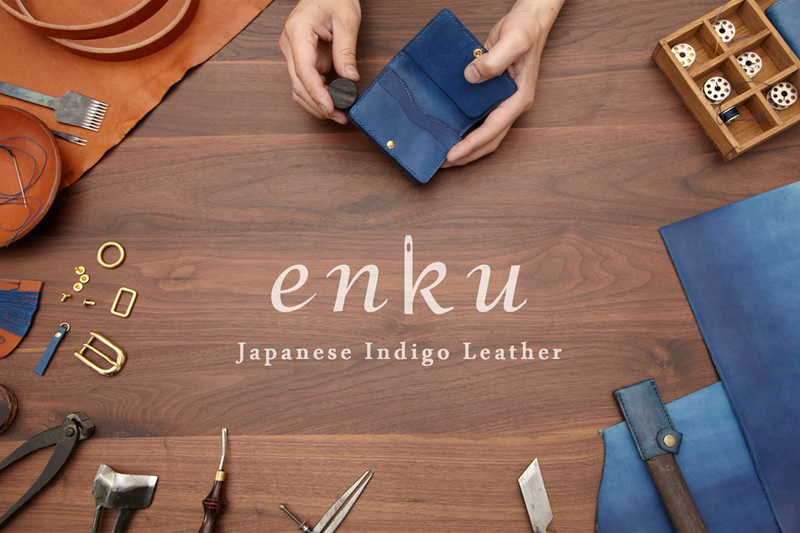 The origin of “Enku” I believe that even though we speak a different language all people share the feeling of surprise and excitement bound together under a borderless sky. I would like to connect people with that destiny. shared by all the people under a wide beautiful sky (空-ku). 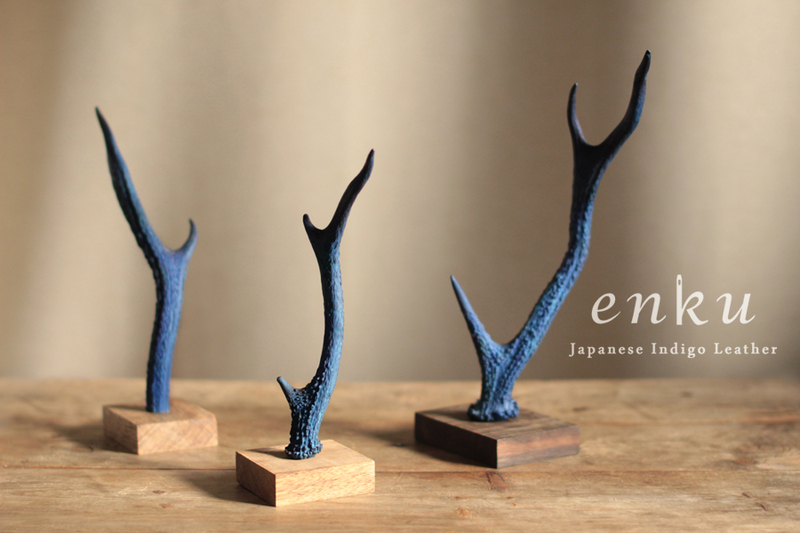 Copyright (C) enku All Rights Reserved.